Use a brooch to accessorize your favorite outfit or spice up apparel that just needs some extra kick. 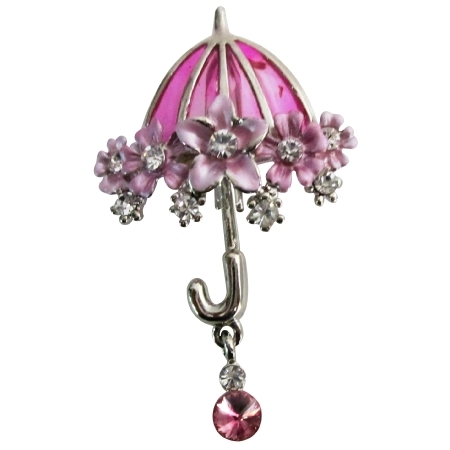 Artistically made Umbrella Broochunique in its kindhand painted with flowers & crystals very cute brooch. Great gift idea!. Quality products were made with quality materials. Get yours today! That just needs some extra kick Glorious/Fabulous brilliant ! An absolutely gorgeous vintage brooch. Add a dash of drama with a bold eye-catching brooch. The brooch is beautiful crafted & authenticated attaches securely with pin clasp. Picture this lovely brooch on your favorite dress shirt scarf or jacket lapel.